Cinema goers across Scotland will have the chance to see a new Scotch Beef PGI TV advert as it hits the big screen from next week. As part of the £500,000 ‘Know Your Beef’ campaign, the advert aims to highlight the credentials of Scotch Beef whilst setting out the facts behind beef production. Featuring farmers, the 40-second musically-themed advert demonstrates how the farming industry produces beef of the highest quality. 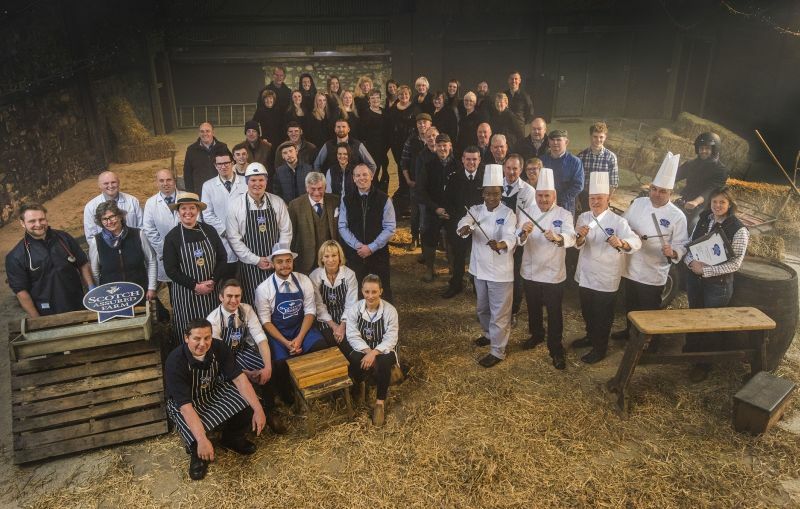 Quality Meat Scotland’s Marketing Manager, Kirsty Fox, said: “Although the new advert is already being shown on TV, we are so excited to take it to the big screen and show it to wide audiences across the country. “We wanted our advert to tell a story, championing the experts at the heart of the Scotch Beef industry that work tirelessly every day to produce a high quality and trusted product. The campaign, which also includes billboard, print, social media and digital activity, is expected to reach up to four million adults over March and April combined. This includes highlighting the quality assurance behind Scotch Beef, the role of beef production in enhancing Scotland’s environment and landscape and the industry’s welfare credentials.